Can the NBA Ban Donald Sterling for Life and Force Him to Sell the Los Angeles Clippers? In the wake of the shockingly offensive recordings of Donald Sterling’s racist remarks to his paramour, V. Stiviano, NBA Commissioner Adam Silver announced unprecedented sanctions: Mr. Sterling was banned from the NBA for life and fined $2.5 million. Additionally, Commissioner Silver stated that he would “urge the Board of Governors to exercise its authority to force a sale of the team and will do everything in [his] power to ensure that happens.” While many people were pleased by the quick and severe nature of the punishment, questions began popping up almost immediately questioning whether Commissioner Silver had the authority to enforce these sanctions. To begin with, Commissioner Silver is not attempting to force Mr. Sterling to sell the Clippers. As stated above, he plans on urging the Board of Governors to force the sale. The only actual sanctions handed down on April 29th consisted of the fine (the largest authorized by the constitution) and a lifetime ban. (d) The Commissioner shall have the power to suspend for a definite or indefinite period, or to impose a fine not exceeding $1,000,000, or inflict both such suspension and fine upon any person who, in his opinion, shall have been guilty of conduct prejudicial or detrimental to the Association. (l) The Commissioner shall, wherever there is a rule for which no penalty is specifically fixed for violation thereof, have the authority to fix such penalty as in the Commissioner’s judgment shall be in the best interests of the Association. Where a situation arises which is not covered in the Constitution and By-Laws, the Commissioner shall have the authority to make such decision, including the imposition of a penalty, as in his judgment shall be in the best interests of the Association. The penalty that may be assessed under the preceding two sentences may include, without limitation, a fine, suspension, and/or the forfeiture or assignment of draft choices. No monetary penalty fixed under this provision shall exceed $2,500,000. Although the Commissioner did not specifically state which article he relied upon, it appears that Article 35(A)(d) provides justification for both the imposition of the $2.5 million fine and indefinite suspension of Mr. Sterling. 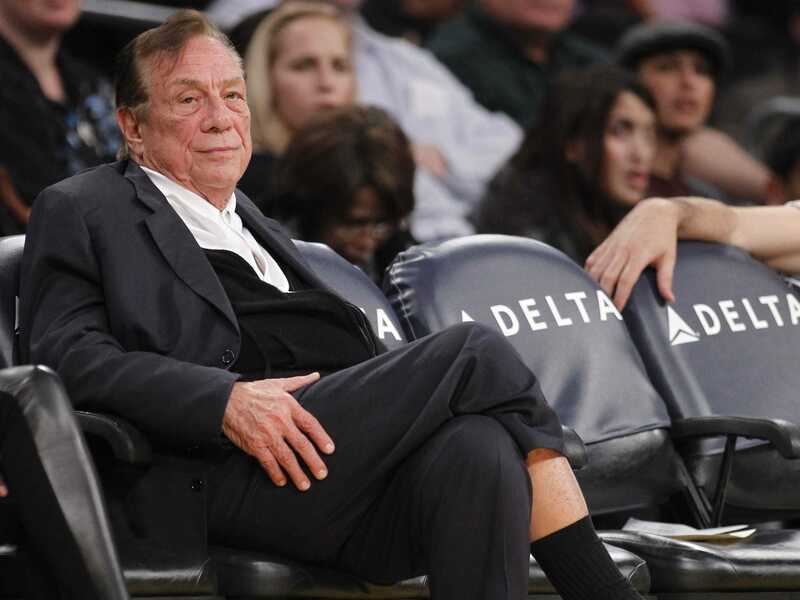 Can the NBA Force Donald Sterling to Sell the Clippers? 13(a) Willfully violate[s] any of the provisions of the Constitution and By-Laws, resolutions, or agreements of the Association. 13(d) Fail[s] to fulfill its contractual obligations to the Association, its Members, Players, or any other third party in such a way as to affect the Association or its Members adversely. Thus, a violation of Articles 24 and 35(A) could form the requisite violations required by Article 13 to force a sale. The owners could also find that Mr. Sterling violated Article 13(d), as it’s hard to argue that his actions have not affected the Association or its Members adversely. If Mr. Sterling were allowed to continue with the Association, it’s very likely (and understandable) that the media and general public would interpret that as at best an acceptance of his comments and beliefs, and at worst an endorsement of those comments and beliefs. The comments Commissioner Silver has made to date suggest that he believes it a foregone conclusion that he will get enough of the owners to vote in favor of forcing a sale of the Clippers. In regards to the Commissioner’s penalties, the NBA Constitution allows Mr. Sterling to answer the charges. Mr. Sterling will be allowed to submit evidence and be heard, and all action taken by Commissioner Silver after that will be final, binding, and enforceable in court. The procedure for divesting Mr. Sterling of his interest in his team is more complicated and is laid out in its entirety in Article 14 of the NBA Constitution. Any member or the Commissioner can charge Mr. Sterling with a violation of one of the provisions of Article 13. The charges have to be made in writing to the Commissioner, who then has three days to serve them on Mr. Sterling. Following service of the charges, Mr. Sterling will have five days to file his written answer with the Commissioner. The Commissioner then submits the charges and answer to each of the Governors of the Association and calls a special meeting of the Governors, which has to be held within ten days of the filing of the answer. If Mr. Sterling fails to answer the charges within five days or attend the hearing, that shall be deemed as an admission of the charges. The hearing itself appears to be only semi-formal, similar to arbitration. Mr. Sterling will be allowed to have an attorney present, but strict evidentiary rules won’t be followed, and pretty much all submitted evidence will be considered. Once the hearing is over, with a three-fourths affirmative vote, Mr. Sterling’s ownership interest will be automatically terminated. If that happens, Mr. Sterling’s interest will be placed under the control of the Commissioner (unless the Commissioner approves of an alternative arrangement). Once the team is sold, the proceeds go first to discharging any liabilities and obligations Mr. Sterling may have had, both to third-party creditors and the team itself, with priority given to the former. Any remainder will go to Mr. Sterling. Mr. Sterling has already expressed his intention of maintaining his ownership of the Clippers. Although a long, drawn-out court battle is all but guaranteed, based on the language of the NBA Constitution and By-Laws that Mr. Sterling agreed to as an owner of an NBA franchise, his intentions may be irrelevant as the choice may not be his. You can reach Parry & Pfau for a free consultation at 702-879-9555.